How to be a Sugar Trader? How to be a Bioethanol Producer? How to be a Power Cogeneration? 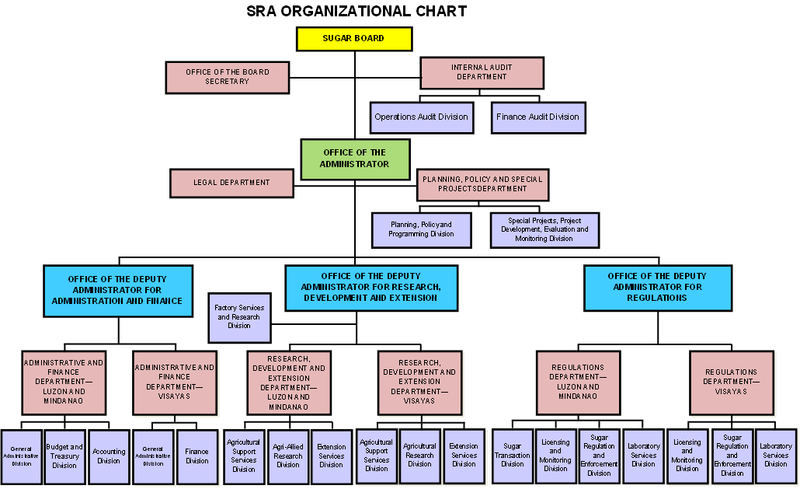 The legal mandate of SRA is embodied in Executive Order No. 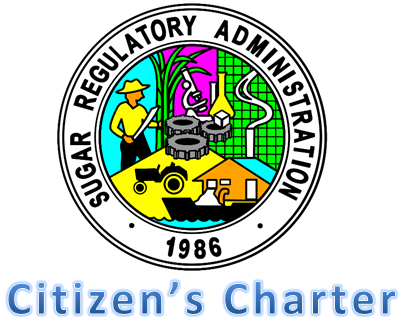 18 dated May 28, 1986 creating the Sugar Regulatory Administration. It states that the policy of the State is to promote the growth & development of the sugar industry through greater participation of the private sector and to improve the working conditions of the laborers. RA 10659 or the Sugarcane Industry Development Act of 2015 further declares the policy of the State to promote the competitiveness of the sugarcane industry and maximize the utilization of sugarcane resources, and improve the incomes of farmers and farm workers, through improved productivity, product diversification, job generation, and increased efficiency of sugar mills. RA 9367 or the Biofuels Act of 2006 mandated SRA as member of the National Biofuel Board (NBB) to develop and implement policies supporting the Philippine Biofuel Program and ensure bioethanol feedstock supply and security of domestic sugar supply. ” SRA is committed to promote the advancement and competitiveness of the sugarcane industry amidst global challenges. It shall continue to improve the way it does its business, in an effort to meet the expectations of its clientele while maintaining compliance, to applicable legal requirements. It shall ensure the continual improvement of its human resource capabilities, as response to the current and strategic needs of the industry”. The Sugar Regulatory Administration (SRA) was created by virtue of Executive Order No. 18 dated May 28, 1986. E.O. No. 18 was promulgated during the Freedom Constitution or Proclamation No. 3 dated March 25, 1986 by President Corazon C. Aquino which recognized the sugar industry as a major component of the socio-economic and political structure of the country. It also reiterates that in order to protect the national interest, free market forces should be allowed to prevail in the marketing of sugar although the production of the same should be regulated and supported with an innovative research and development program and a socio-economic program which will be primarily be the private sector’s responsibility. Empowered SRA supportive of its Vision, Mission and Goals. To do all such other things, transact such other businesses and perform such function directly or indirectly necessary, incidental or conducive to the attainment of the purposes of the Sugar Regulatory Administration. Issuance of food safety regulations such as, Sanitary and Phytosanitary (SPS) certifications and import permits. Improve capacity utilization of existing sugar mills and to partially supply the feedstock of the mandated requirement of bioethanol pursuant to R.A. 9367 through intensification or farm productivity improvement. Convergence initiatives with DAR, DA, DOLE, DepEd, DSWD, DPWH, DTI, NEDA, DOE etc. for the farmers and workers welfare and rehabilitation of calamity stricken and vulnerable areas. Updating of the Sugar and Ethanol Blackbook. Construction/rehabilitation of farm-to-mill roads and bridges in the sugarcane mill districts. Participation in international sugar and bioenergy conferences, seminars, workshops. The sugar industry of the Philippines has had a colorful and dramatic history. The industry started some two to four thousand years before the Christian era where vessels from the Celebes brought sugarcane cuttings to Mindanao. Eventually, these plants spread further north to the Visayan islands and Luzon, such that by the time of the European contact with the archipelago early in the sixteenth century, sugarcane plants could be found in various localities where the soil was tilled by the native inhabitants. By the time Ferdinand Magellan, a Spaniard who discovered the islands, reached the Philippines in 1521, the cultivation of sugarcane was widespread in many of the islands. The extraction of juice for the cane was done in a primitive manner, that is, by the pressure exerted by hand or foot-operated lever on a wooden stationary surface. The use of wooden rolls, two in a vertical position came later. The substitution of stone cylinders came after the influx of Chinese emigrants to the islands during the first decades of the Spanish occupation. Carabaos and water buffalos supplied the motion power for these crude extractors in the Philippines up to the nineteenth century. The pressing of the cane is performed by means of two coarse stone cylinders placed on the ground and moved in opposite directions by the slow and unequal pace of a carabao. The juice is conveyed to an iron cauldron containing clay and in this the other operations of bottling, skimming and cleaning take place till the crystallization is completed. The boiled sugarcane juice near crystallization is poured into a setting clay jar called pilon which has a hook at the bottom through which excess molasses pass on to a smaller jar. The arrival of the Spaniards in Manila in 1572 and the increase in their numbers because the city was made the capital of the Islands resulted in the shortage of rice, sugar and other foodstuffs. Chinese traders, always sensitive to commercial trends, began importing these items to remedy the shortages. Meanwhile, sugarcane was planted in large numbers in nearby areas such as Bulacan, Pampanga and Laguna. Sugar was so sought after that in a valley between two mountains in northeastern Pangasinan, the area was devoted to the cultivation of sugarcane. The Visayan islands kept pace with this development. By the middle of the seventeenth century, practically every region of the archipelago had small plantations devoted to sugarcane. Primitive mill for the manufacture of muscovado and molasses numbered by the scores such that one may buy 25 pounds of sugar for one teston (a Spanish silver coin with the sovereign’s head on one side and equivalent in value to the English sixpence). By the middle of the next century, in the 1750’s, enough sugar was produced locally to enable the exportation of modest amounts. Prior to that time, the exportation of sugar was prohibited according to an Englishman by the name of Nicolas Norton Nicols. But as there was enough sugar to meet domestic consumption, and as there existed a foreign market for the item, the Philippines started to export sugar to China and other Asian countries by 1755. After the British occupation of the Islands in 1764, the amount of sugar exports gradually increased. The establishment of the Royal Company of the Philippines in 1785 fomented trade in general and in the following year the company exported 860 arrobas to Spain. Ten times this amount was sent to India and China in 1788. In 1789, it was reported that the Island has exported 40 to 50,000 piculs or from 2000 to 3500 short tons. During the period 1775 to 1779, the Philippines was the largest exporter of sugar in all Asia. The Port of Manila was gradually opened to ships of all nations starting in 1785 doing away with the monopolistic restrictions spawned by the galleon trade. At the beginning, only Asian goods in Asian ships could be brought in. Four years later, at the petition of the Royal Company, a royal decree legally opened Manila to non-Asian shipping. By 1796, the SS Astrea of Salem docked in Manila whence all restriction had been lifted. This was the start of sugar trade between the Philippines and the United States. The opening of the Port of Manila during the later part of the 18th century triggered progress in Philippine trade with other foreign countries. Historical records on trading include sugar, hemp, indigo, rum, spices, animal hides, etc. In so far as he sugar industry is concerned this precipitated the growth and further development of the sugar industry. Aside from the raising of indigo, coffee and cotton, sugarcane cultivation received attention of those planters who not only took better care in tilling their fields but also introduced modern methods in the extraction of the sugar from the cane. The foremost of these plantations in the island of Luzon were those of Inigo de Azaola, A Spaniard, M. Vidie, a Frenchman and Domingo Roxas, a Creole located in the environs of Laguna province. These three planters hired the service of a Frenchman named Delaunay who had experience in sugar mills in the French colony of Mauritius to supervise the construction of boilers and sugar mills. The smaller sugarcane farmers in the neighboring provinces of Bulacan, Pampanga and Pangasinan immediately copied the method of the larger haciendas. When Roxas bought the Calatagan estate in 1837 he obtained the services of German Gaston, another French expert to supervise the planting of sugarcane and the construction of a mill in Batangas. The success of the endeavor was fruitfully realized when the Roxas family acquired the Lian and Nasugbu estates further north. A mill established in this area later became known as Central Azucarera de Don Pedro. Gaston emigrated to Panay where he became one of the pioneers of the sugar industry in the Visayan Islands. Although sugarcane was raised since pre-Spanish times in the Visayan islands after its introduction, it did not become much of an industry until after 1850. There were a score of small plantation in the province of Iloilo and a few in Negros that cultivated the Saccharum officinarum but the output was for regional consumption and anything over a few thousand piculs were sent to Manila for the foreign market. Then came Nicolas Loney, Britanic Majesty’s Vice-Consul to Iloilo in 1856 who acted as the catalyst that skyrocketed the sugar industry of the region to unprecedented heights. Through his firm of Loney and Kee Co., he supplied most of the capital for sugarcane growing. He convinced the American house of Russell and Skurgis to open a branch in Iloilo for the purpose of giving crop loans to sugar planters. He imported sugarcane cuttings from Sumatra and brought machinery from England and Scotland which the sugar planters could buy on easy installments. Then he built a stone warehouse in Iloilo later to become an imposing wharf which inhabitants called Muelle Loney in his honor. To transport sugar from Negros, he built at Buenavista in Guimaras Island sailing crafts called Lorchas patterned after Brixham Trawlers of Downshire used for deep-sea fishing in the English channel. The transformation of the swampy ground along the strait between the town and the Island of Guimaras into a wharf were the interisland vessels and even ocean-going ships could lie alongside made Iloilo a port of call and turned it eventually into the business seaport on the archipelago next to Manila. Meanwhile, prices of sugar in the world market kept rising in 1857. He arranged for two British Brigs, the SS Pet and The SS Camilla to call at the Port of Iloilo to load several thousand piculs of his sugar to Melbourne, Australia where the Victoria Sugar Co. was avidly waiting for them. The other British colony, New Zealand, was also a good market for unrefined sugar. 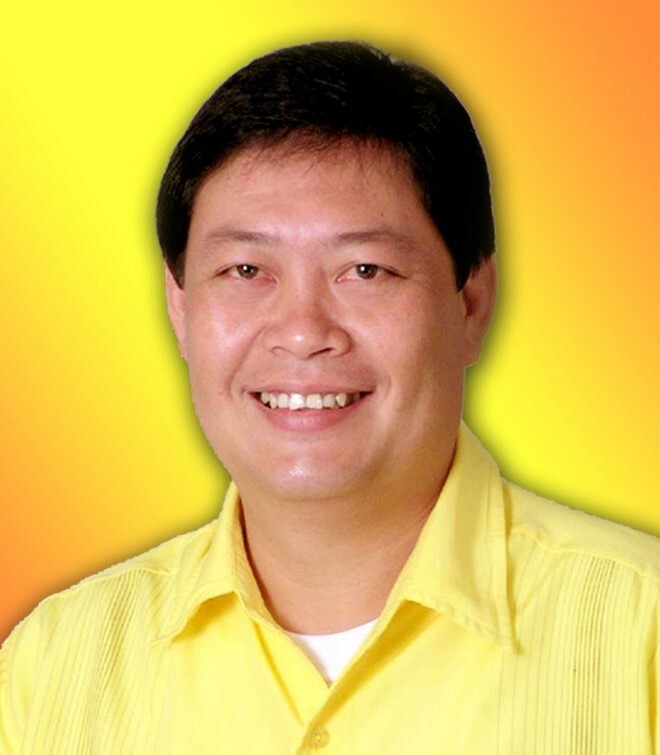 Foreseeing the great future for the sugar industry in the Visayas, Loney decided to develop adjoining Negros Islands as a source of this product by offering the same liberal terms to the few Negrense planters as those he had given the Ilonggo landowners. This started the exodus of Iloilo planters to Negros in 1857, for land values in the formers had increased while in the latter province, virgin areas could be had cheaply. Thus, prominent families from Jaro, Molo and Miegao emigrated to Negros such as Simeon Ledesma to Silay, Lucio Lacson to Minuluan, Cornelio Hilado to the Hacienda Bagacay and Matabang, the Cosculluelas, Perez, Alvarez, Sotamayor and Escanilla families to Guinigaran and Himamaylan. The municipalities of Saravia and Escalante were also opened to the sugar pioneers. The Visayan island produced mainly raw sugar exported to the United States, England and Australian while in Manila, crystal grain sugar was exported to Spain. Consequently, in Luzon a better class of machinery was used. In 1890, five haciendas had vacuum pans installed in their mills while one refinery was constructed in Malabon. In 1885, the government also acquired a vacuum pan for the San Ramon penal colony where a pilot sugar plant had been built. Almost all of the sugar mills in Negros used European machinery while every other sugar-producing province roughly made vertical mills of wood or stone (wood in the south and stone in the north) as introduced by the Chinese centuries earlier. The outbreak of the Philippine revolution against Spain in 1896 did no affect to any great extent the agricultural products exported by the Philippines. However, the Philippine-American War of 1899-1901 covered a larger theater of conflict and the fighting followed wreaked havoc on the countryside. All of Luzon, Cebu, Panay, Negros and parts of Mindanao were included in the devastation. Sugar production dropped considerably. The sugar industry did not recover from the ill effects of the war until peace and order was restored in 1902 and not until 1913 did it reach the level of its exports during the last years of the Spanish regime. The development of the Philippine sugar industry prospered and was encouraged during the American occupation of the country by allowing the Philippines to export sugar to the United States under preferential terms. It will be recalled however, that the U.S. became a market for the Philippine sugar as early as 1796. From 1880 to 1889 sugar exports to the U.S. averaged approximately 200,000 metric tons annually. Then, as now the U.S. has become the country’s principal export market. In 1902, by an act of Congress, the U.S. admitted entry of the Philippine sugar, paying only 75% of the duty or 1.685 cents per pound. In 1909, the U.S. Congress passed the Payne-Aldrich Tariff Act. This law established a limited free trade arrangements between the U.S. and the Philippines. Under this free trade arrangements, 300,000 tons of sugar can be admitted to the U.S. free of duty. In 1913, the U.S. Congress enacted the Underwood-Simmons Tariff Law which removed the quantitative limitation on duty-free products of the Philippines entering the U.S. Under this stimulus, the Philippine sugar industry developed and expanded. Forty seven (47) mills were established before the last world war. Production rose by 502% from 206,000 tons in the 1912-1913 crop year to an all time high of 1,565,405 tons for 1933-1934. Before the passage of the Jones Costigan Act in 1933, the Continental U.S. imported 1,249,000 tons of Philippine sugar. At about the same time, our domestic consumption needs were barely 90,000 tons. As a result of the restrictive U.S. sugar programs of the late 1930’s, imports for the Philippines were cut down to 1,088,000 tons in 1934 and were held at 980,000 tons under the then existing U.S. sugar laws. This remained to be so until the outbreak of World War II. 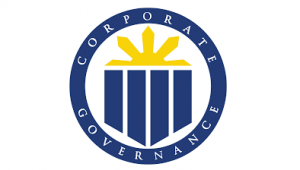 The Philippine legislature for its part approved the Sugar Limitation Law (Act No. 4166) which limited our sugar production to the then existing quotas – 90,000 short tons for domestic consumption and 980,000 short tons raw value for export to the United States. Executive Order No. 900 provided for the system of allotting these national quotas, on the basis of the production coefficients arrive at after an audit of the industry. During the last World War II, the sugar industry was destroyed. When the war ended, the Philippine sugar industry started to reconstruct itself. Of the 47 mills existing before the war, only 25 were completely rehabilitated. Under the Philippine Trade Act of 1946 extended up to 1974 by the Laurel-Langley Agreement, the Philippine basic quota of sugar for export to the U.S. was maintained at 980,000 short tons, raw value or 952,000 short tons commercial weight. In 1956, when amendments were introduced into the 1948 U.S. Sugar Act, the Philippines did not get any increase. The first break came in 1960. Under several amendments to the U.S. Sugar Act, the Philippines received quota increases in the form of non-quota purchases. In 1962, a basic quota increase of 70,000 short tons plus the right to participate in shortfalls and the global quotas, in a “first-come first-served” basis was given to the Philippines. 4) The premium recapture fee and a quarterly system of allocation during the first semester of each calendar year. After the approval of the U.S. Sugar Act Amendments of 1965, the expansion program of the Philippine sugar industry moved forward rapidly on a scale to ensure fulfillment of Philippine consumption and U.S. import requirements and the necessary reserves even under uncertain weather conditions that have been experienced by the industry so far. Under the expansion program, total mill capacity more than doubled from 76,991 metric tons of cane daily for 24 sugar centrals in crop year 1960-61 to 150,264 tons for 36 sugar centrals in crop year 1971-72. The expansion program yielded its initial results in crop year 1972-73 with the record crop of 2.3 million short tons commercial weight from 37 sugar mills. In 1974-75 crop year, the total yield from 38 sugar mills increased to 2.396 million metric tons sugar. The last of the 42 sugar mills started operating in crop year 1978-79 increasing the total mill capacity to 188,770 tons cane per day. Under the Sugar Act Amendments of 1971, the Philippines has been given a basic quota of 1,126,020 tons and sets the nation’s share of deficit at a level (30.08 per cent) that will give the Philippines a quota of 1,314,020 tons. As of 1973, the Philippines’ total quotas and prorations of 1,347,591 shot tons are more than double than that of the Dominican Republic which is the second largest sugar supplier to the U.S. The Philippines continued to have the lion’s share of the foreign sugar requirements of the U.S. until the expiration of the U.DS. Sugar Act and the termination of the Laurel-Langley Agreement in 1974. This placed the Philippines in the highly competitive and volatile world free market. The euphoria of the good world prices in 1974-75 was short-lived as prices dropped form a high of U.S. 65 cents per pound in 1975 to only 6 cents per pound in 1977. In 1977, the country had an oversupply of sugar. With the price down, there were no buyers. While white stocks were deteriorating, new crops were waiting to be harvested. As a consequence, there were no lenders to the sugar industry as traditional bankers cut back on sugar loans to protect their investment. Planters could not pay their loans. Workers could not be paid. The sugar industry was in the verge of collapse. Decisive measures were needed to save the industry. In July 1977, President Marcos ordered the activation of the Philippine Sugar Commission (PHILSUCOM) to act as policy-formulating body and to oversee and coordinate various industry activities. A few months later, the National Sugar Trading Corporation (NASUTRA) was organized as the country’s single buying/trading agency finally forming the ranks of 70 other countries employing the single trading agency concept. And to complete the rationalization of the sugar industry, the Republic Planters Bank came into being in May 1978. It was tasked with the role of providing adequate and timely financing to the sugar industry. These organizations immediately worked to resuscitate the sugar industry. 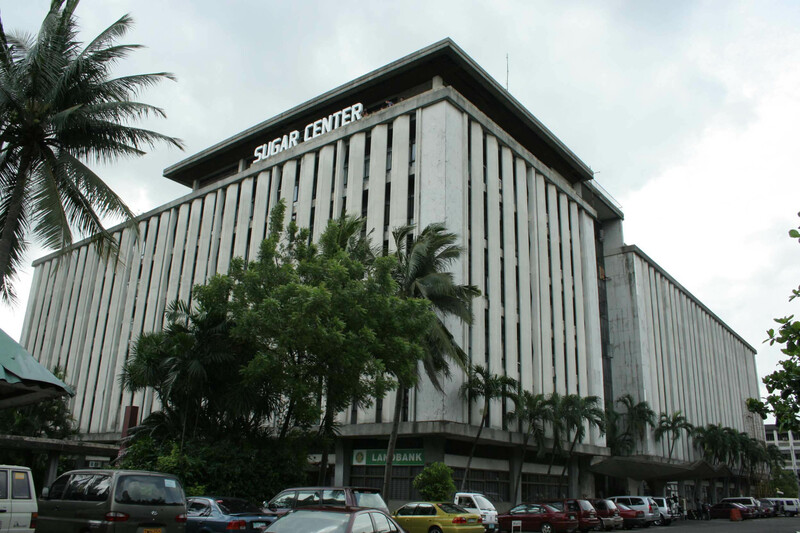 Buyers for Philippine sugar like U.S.S.R., South Korea, China, Japan, Malaysia, and Sri Lanka, among others were found. Within six months, warehouses were decongested with the shipment of over one million tons of sugar. With the lessons of the 1975-77 sugar crisis in mind, the PHILSUCOM established a protective pricing policy to minimize the impact of wildly fluctuating world sugar prices. The Philippines entered into a four-year long terms contracts to sell 50 per cent of our export sugar at an average of U.S. 23.5 cents per pound when prevailing world prices were then above 30 cents per pound. The objective is to assure producers of a reasonable return in investment by partially insulating them from wild world market price fluctuations while allowing for flexibility to take advantage of occasionally high world prices. These long-term contracts assured the country a steady source of foreign exchange earnings ranging from 4.72 to 16.31% of the country’s total export earnings and the producers a remunerative price even as sugar producers in other countries without the benefit of long-term contacts suffered financially. This future contract did not benefit majority of the sugar planters. During the interregnum while the long-term contracts were operating, producers realized that (a) prices in the world market was not at all improving, (b) our quota to the U.S. under the quota system was limited to 342,900 short tons raw value, (c) in the U.S. alone, sugar displacement estimates due to high fructose corn syrup usage from 500,000 to 600,000 tons on an annual basis and (d) domestic sugar prices are starting to go down. At this point, some sectors in the sugar industry started agitation for free enterprise and through vigorous demonstrations led by the New Alliance of Sugar Producers, Presidential Decree No. 1905 was issued February 1984 placing the sugar trading under free enterprise. In August 31, 1984 through the representation of some producers, the postponement of the effectivity of free trading was granted under P.D. 1918. In the meantime, world sugar prices kept going down even below 2.7 cents per pound equivalent to around P 72 per picul at the current rate of exchange. The situation has been aggravated by the credit restrictions of the Central Bank which adversely affected crop loan financing and the carrying cost of sugar inventories. In February 21, 1985, President Marcos issued P.D. 1971, revitalizing the Philippine Sugar Industry and reorganizing the Philippine Sugar Commission. In furtherance of the purposes and objectives of this decree, the Commission shall cause the conversion of the National Sugar Trading Corporation (NASUTRA) into a private corporation to be called the Philippine Sugar Marketing Corporation (PHILSUMA) not later than December 31, 1985. By virtue of P.D. 1984 (August 31, 1985), PHILSUMA which will be the sole marketing agency for exporting sugar will be owned 100% by the sugar producers in proportion to their actual production. 4) To undertake such relevant studies as may be needed in the formulation of policies and in the planning and implementation of action programs required in attaining the purposes and objectives set forth under Executive Order No. 18. 1) Sanctity of the quedan – No sugar shall be withdrawn from any warehouse without a quedan. 2) Free enterprise system – Any sugar producer can sell his/her sugar to anybody at any time subject only to government regulations. 3) Quota allocation – Production quotas attached to the land shall be assigned on the basis of national target production. 4) Research and development – Efforts towards research and delivery of extension services shall be revitalized. The utilization of sugar and sugar by-products shall be given more emphasis. 5) Social concerns – The alleviation of the living conditions of producers and sugarcane workers in their respective communities shall be the concern of SRA. 6) Rationalization of production capabilities – Efficient utilization of mills with respect to their milling capacities shall be critically evaluated. 7) Enhancement of domestic market – Efforts towards increasing local market demand is envisaged through the establishment of a more efficient sugar distribution network, campaign for more direct uses of sugar, massive information dissemination on the use of sugar and a more effective transport system. 8) Payment of proceeds of the 1984-85 crop which was not paid by the defunct National Sugar Trading Corporation (NASUTRA). 9) Sale of the Republic Planters Bank. 10)Development of export market, especially the United States. In June 1989, the terms of the two board member expired. They were replaced accordingly. 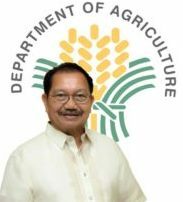 During the latter term, a Department of Justice ruling placed the SRA as an attached agency of the Department of Agriculture and subsequently made the Secretary of Agriculture Chairman of the Board. Atty. 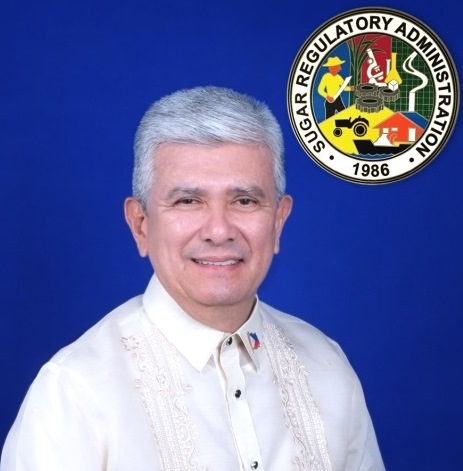 Arsenio B. Yulo, Jr. who was discharging the duties as Chairman and Administrator was made to serve as Administrator of SRA under the Chairmanship of then Secretary Senen C. Bacani. On February 8, 1992, Administrator Yulo resigned and he was replaced as Administrator by Atty. Rodolfo A. Gamboa. 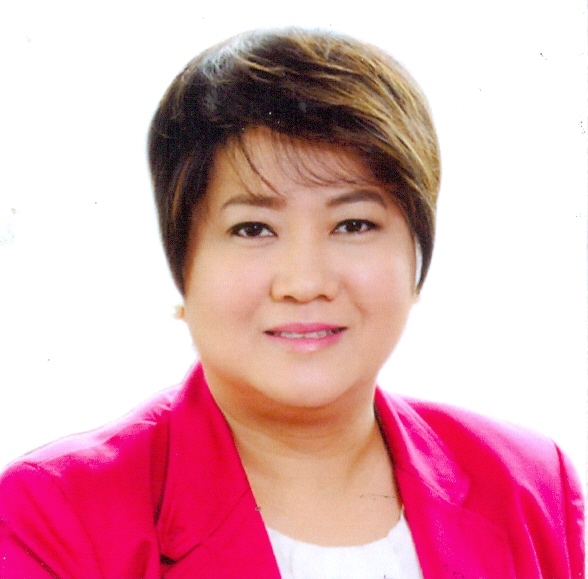 The position of Board member was given to Atty. Vicente Oliva, who served the unexpired term of Atty. Gamboa. 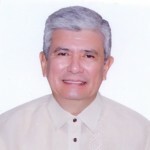 The current Administrator of SRA is Hermenegildo R. Serafica concurrently sits in the Sugar Board with board members , Emilio Bernardino L. Yulo representing the planters’ sector and Roland B. Beltran, representing the millers’ sector, under the chairmanship of the Department of Agriculture Secretary, Emmanuel F. Piñol. A chronology of laws and statutes which charted the significant events of the sugar industry is presented here under. 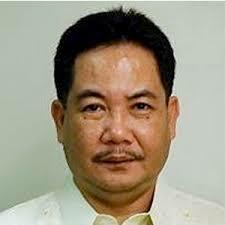 Dr. SEGFREDO R. SERRANO, Ph.D.
SRA © 2012 || ALL RIGHTS RESERVED.